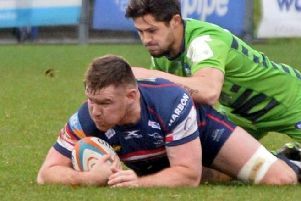 Doncaster Knights second-rower Tom Hicks is on the comeback trail. Hicks hasn’t played since suffering delayed concussion in the opening weeks of the season. After failing to get the all-clear on several occasions following head injury assessments (HIA) the former Rotherham forward has now got the go-ahead to play again. “It’s good news for both Tom and the club,” said head coach Glen Kenworthy. More good news for Knights is that second-rower Matt Challinor, who has missed the last two games after picking up a back injury at home, is fit again and will come into contention for Saturday’s game. Tongan fly-half Kurt Morath is available again after missing the last couple of games with a head injury, as is strong-running wing Curtis Wilson and No 8 Rory Pitman. Wing/full-back Steve McColl is also fit again after going over on his ankle in the win over Coventry. “Steve will come into contention for Saturday,” said Kenworthy. 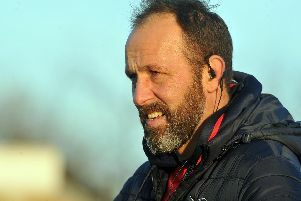 Fears that back-rower Ollie Stedman, who scored two tries in the win at Hartpury prior to limping off, could miss this weekend’s game have been allayed and he has trained this week. “We are going to have a bit of a selection headache when we sit down to pick the team,” said Kenworthy.